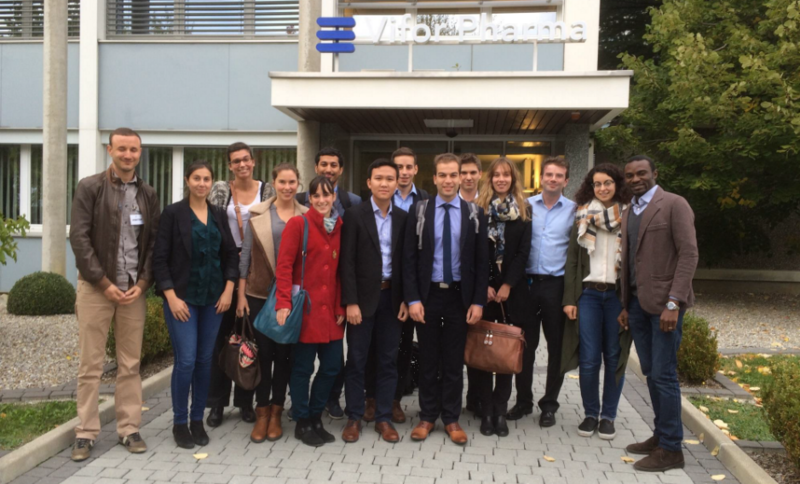 Vifor Pharma Villars-sur-Glâne/Fribourg takes great initiative for employer branding and succession within the pharmaceutical industry: We had the pleasure to welcome the students of the “Master Ingénierie de la Santé – Parcours Pharmacie Industrielle Formulations Procédés (PIF2P)” from the University Grenoble and the students of the “Master Sciences Pharmaceutiques” from the University of Geneva on our Vifor Pharma site in Villars-sur-Glâne/Fribourg end of last year. The main goal was to give to these students an overview of our company Vifor Pharma, our specificities in Villars-sur-Glâne and to present them our different departments onsite (Production, MI-6, Quality Management, Pharmaceutical Development, Engineering, Supply Chain). Beside the site visit, we also offered the students to review their CVs and cover letters on an individual basis. We also conducted face-to-face interviews with those of them who were looking for an internship for 2017 within a pharmaceutical company. We would like to thank all our colleagues from Vifor Pharma in Villars-sur-Glâne who took the time to present their jobs and activities to the students!